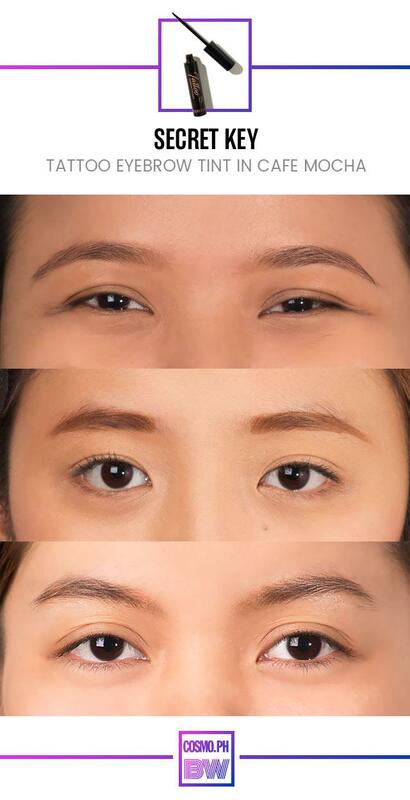 With the popularity of thick, straight brows inspired by all the popular K-drama and K-Pop stars, many are turning to Korean peel-off brow tints to lessen the time they spend polishing their kilay every day. 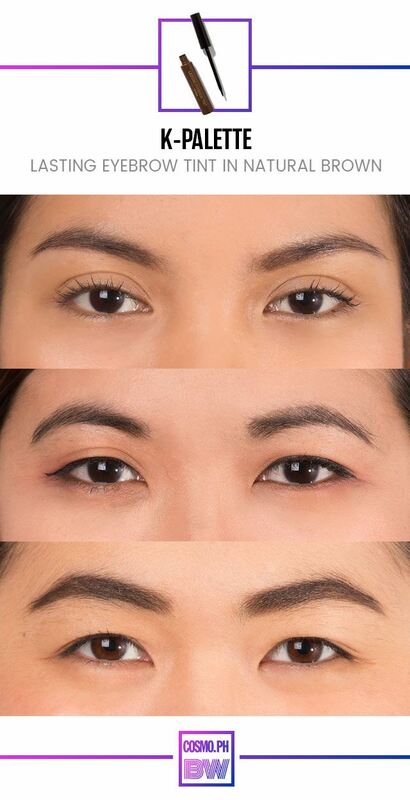 And since we love anything that has to do with brows (and K-beauty, of course! ), we wanted to jump on the bandwagon, too. 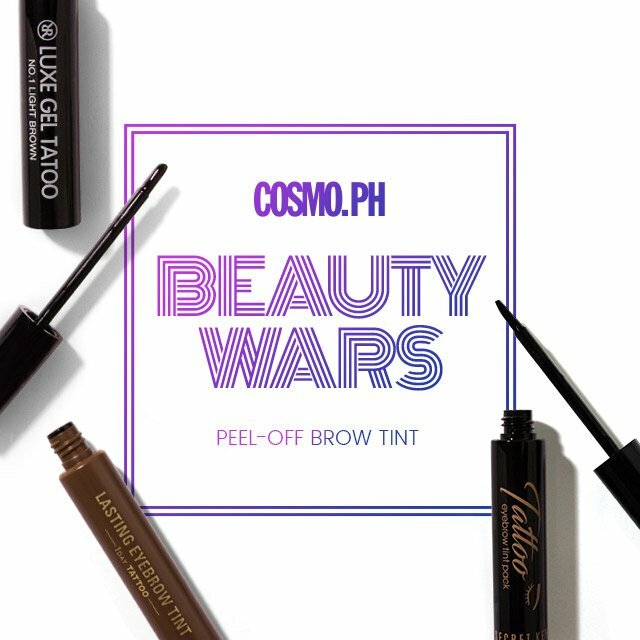 For this edition of Cosmo.ph Beauty Wars, we tested three different peel-off brow tints in different colors. 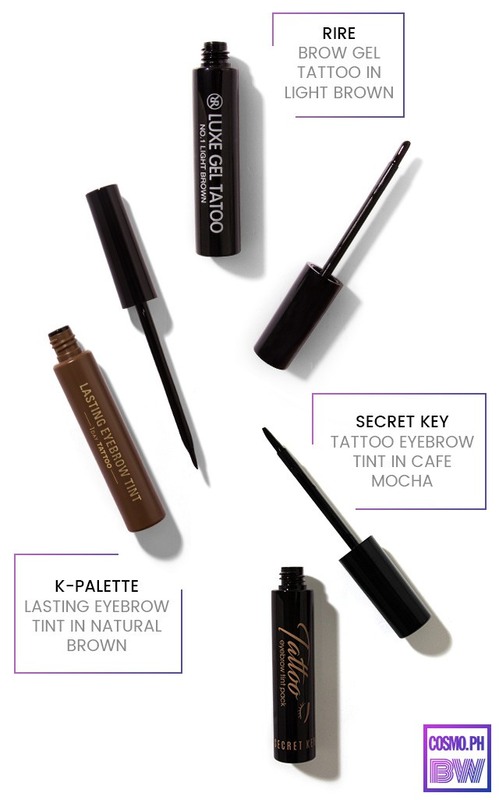 What It Is: A warm brown tint that instantly volumizes the brows. 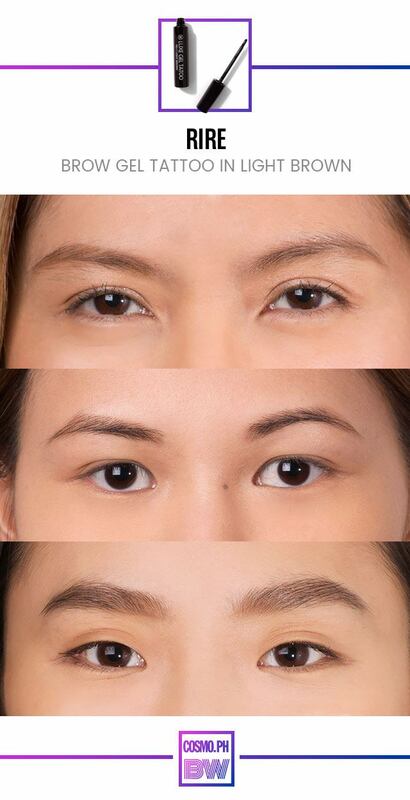 Why We Love It: For those of us who had brown or reddish hair, it was a match made in kilay heaven! And while it only lasted for about two days, we still wouldn't mind using it over and over again. What It Is: RiRe's gel is the best shade for Pinays with blonde or light locks as its yellow-brown undertones are neither too warm nor too cool. Why We Love It: Because this was the lightest shade, it wasn't as long-wearing as the others. But like we said, the color was a great match for those of us with blonde or light brown hair. What It Is: Infused with beauty essences like hyaluronic acid, this tint will not only give you perfect brows for a few days, but it will care for your skin, too. Why We Love It: Among the three, this was the most versatile as it worked for different hair colors and skin tones. Depending on how long we left it to set and how much product we put, we could have either gotten a dark brown, natural brown, or light brown tint that could last up to five days.